Operative Experience Inc, the world’s only company specialising in hands-in-the-body simulators for obstetrics and trauma care, and a strategic partner with 3B Scientific, has recently announced the launch of RealMom 2.0, the updated model of the ultra-realistic birthing simulator. RealMom is the world’s only “hands-in-the-body” childbirth delivery trainer. It offers an obstetric training experience almost identical to the live patient scenario. RealMom 2.0 enables the simulation of various childbirth scenarios & positions. With training experiences for routine to life-threatening births, learners have a safe and true-to-life way of practising their skills. As with the rest of the 3B Scientific range, the attention to detail on the RealMom simulator is outstanding. She is available in several skin tones, has very realistic skin and soft tissue and the internal anatomy is accurate too. What sets RealMom 2.0 apart from any other birthing simulator is the natural, active birth canal, which makes the vaginal delivery simulation highly realistic. The instructor has full control over the dilation of the cervix and the position of the baby. Therefor RealMom simulates a straightforward, uncomplicated vaginal delivery as well as the full range of complications which might be experienced in labor. This gives both students and experienced medical professionals the opportunity to practise for every conceivable labor eventuality. The upgraded RealMom 2.0 offers several advantages over the previous model. Theredefined skin and tissue make it even more realistic and the improved internal structures of the simulator allow increased movement and flexibility. The replaceable birth canal ensures that many students can use the simulator to train their obstetric skills. The 2.0 version of the simulator replicates a wider range of birth complications, including shoulder dystocia, forceps delivery and cord prolapse. The simulator also enables multiple birthing positions. The trainer can position it upright, on its side, or in a range of other birthing positions which a mother might choose. The trainer controls RealMom 2.0 using an app which can be used to adjust contractions, position of the fetus, bleeding and dilation in real-time. Although giving birth is now statistically safer than ever, in many parts of the world having a baby is still risky. In developing countries, maternal mortality rates are still high, in some cases as high as a lifetime risk of 1 in 41. Research has shown that the attendance of skilled and experienced medical professionals during birth can decrease the maternal death rates significantly. The 3B Scientific range of medical simulators, including the birthing simulator RealMom 2.0, assist in training doctors, nurses and midwives in a wide range of scenarios, equipping them to deal with obstetric emergencies when they return to work in their hospital or clinic. 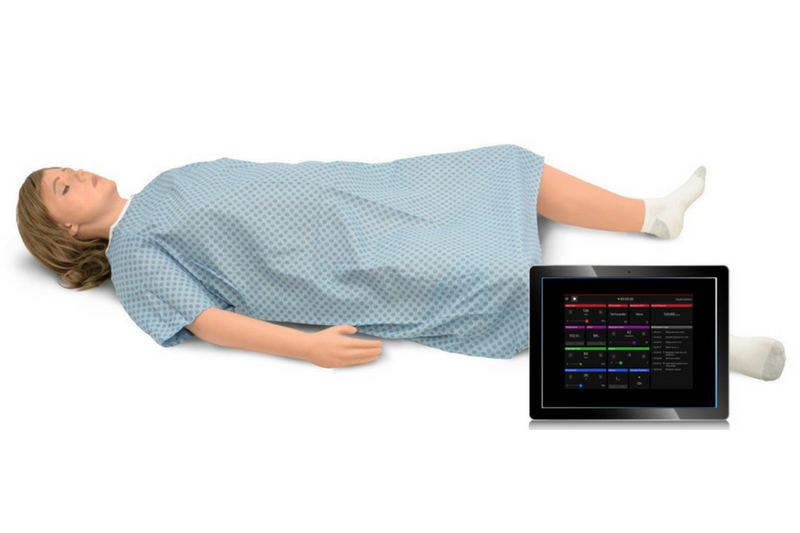 The strategic partnership between 3B Scientific and Operative Experience Inc. provides the world’s largest and most advanced range of medical trainers and simulators. 3B Scientific and Operative Experience products advance the training of medical professionals at all levels to deal with each and every eventuality which they may experience in their working life. World Heart Day - Learn About The Heart Of Your Health!